CrossFit Invoke is a place where adults that are serious about their physicial fitness come to play. At CrossFit Invoke, we will invoke your inner athlete. That means that when you come to our fitness club in Raleigh NC, you’ll be training with some of the best coaches in the business that can you help you get into the best shape of your life. We know that convenience is really important to all aspects of everyday life in the Triangle. That’s why our gym is located adjacent to downtown Raleigh, right off of I-40. CrossFit Invoke provides a safe environment for you to train for an event, or your own personal fitness goals. We’re right in your backyard, so please call us today and register for a free class at our fitness club in Raleigh. If you’re confused about what exactly CrossFit is, let us break it down for you in a more in-depth explanation. CrossFit is a core strength and conditioning program that combines physical exercise as well as competitive fitness. CrossFit was founded by Greg Glassman and Lauren Jenai in 2000 and designed to enhance your overall general physical preparedness. 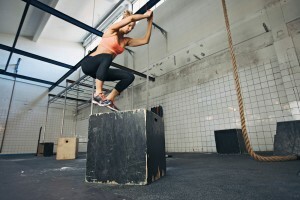 CrossFit is not really a specialized fitness program, but more of a deliberate attempt to optimize your physical capabilities in each recognized fitness domain. These domains consist of cardio and respiratory endurance, stamina, strength, flexibility, power, speed, coordination, agility, balance, and finally accuracy. At our fitness club in Raleigh, we aim to make sure your body is meeting the proper requirements to perform at high levels in each of those categories listed above. So no matter if you’re just now committing to getting back into shape, or a black belt in jiu jitsu, we will have a work plan that will help you make positive gains toward your health goals. CrossFit Invoke is the most experienced fitness club in Raleigh NC, including being a member of the CrossFit HQ Seminar Staff team. Our founders have operated CrossFit programs all over the Southeast for over five years. Our world class trainers are top of the line. As a member, you’ll find comfort knowing that all our coaches hold a Level 1 Seminar Certificate, and many other additional specialty certifications in CrossFit, and other diverse fitness backgrounds as well. We also require that all of Invoke’s coaches attend training seminars and workshops regularly. This ensures that we’re also continuously improving. We strive to help you with better methods of fitness training, and to offer you the highest quality of service in the CrossFit community. Let us help you smash your fitness goals. Call us today to get started with your free class from our the number one fitness club in Raleigh.